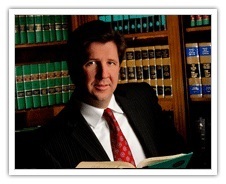 Published on: December 31, 2013 | J. Bradley Smith, Esq. The Los Angeles Police Department made a surprising announcement recently when an official revealed that officers would begin carrying portable devices that can check drivers for drug use. Officials with the police department say that the tool will be rolled out to combat increased instances of drugged driving, often due to medical marijuana usage. The new tools, which are swab-testing kits, will be used primarily during DUI checkpoints and in jails to test those who have already been arrested. The department intends to pair the devices with breathalyzers and subject drivers at checkpoints to both a breath test and mouth swab to detect the presence of drugs. The test has been designed to screen for the presence of methamphetamine, cocaine, benzodiazepine, methadone and THC, a component of marijuana. 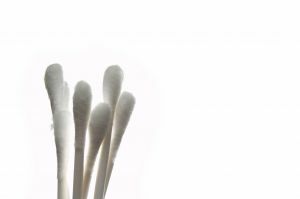 An LAPD spokesperson said that officers would ask drivers to consent to a swab of their gum line. After the swab has been collected, the tool will then read the fluids and immediately alert officers to the presence of drugs. Previously, such a test would require blood samples taken by nurses, which would then be sent off for analysis. Police officials have said that the growing prevalence of medical marijuana dispensaries has pushed the department to consider new strategies to detect impaired drivers. Law enforcement authorities say that driving under the influence of drugs, known as drugged driving, is just as dangerous as drunk driving and it will be an important priority of officers in the area to limit the ability of drivers to engage in similarly risky behavior. Officials with the city attorney’s office have said that nearly 600 DUI cases that were filed against LA drivers in the past year concerned the use of drugs, a number they want to see increase given the new technology. Critics of the new device say that the oral swab test has not been tested extensively, something that might lead to reliability troubles. Police officers admitted that the device has only been used about 50 times prior to being widely distributed to officers across the department. Prosecutors in Los Angeles also admitted that they have not yet tried to use the results from any of the tests as evidence during a criminal proceeding. Others have noted potentially worrisome privacy concerns with the oral swab given the risk that authorities could use it to collect genetic information from offenders. So far the LAPD has refused to comment on how it will use the information it collects from the oral swabs and whether the results will be stored for future use. Critics have noted that Los Angeles County has a notorious problem with backlogged DNA samples and some have worried that the oral swabs could be used to help solve these thousands of cold cases. “LAPD deploys drug detection swab test at sobriety checkpoints,” published at InfoWars.com.